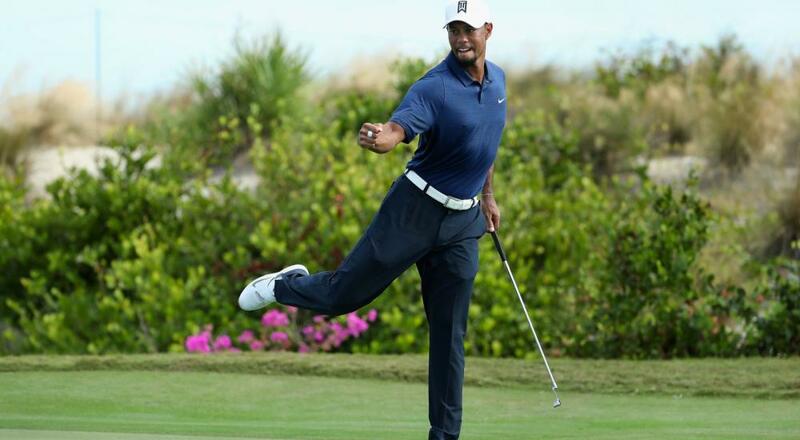 The new Tiger Woods fighting game is a bit too button-mashy for my tastes. Well, it's the gosh darn weekend already. How about that? The Co-Opticrew has mostly escaped Bungie's grasp for the time being, but we're all still in the throes of Sequel Town. We're gonna have to churn through our follow-ups of choice, though, as release season is already getting hot and heavy. Don't be surprised if, one month from now, our weekend plans are replaced by desperate gurgles as we attempt to not drown in a sea of new video games. This weekend, we'll be fightin' dark elves, brawlin' wookies, and challengin' anyone who dares beat our golf scores to a 1v1. Check it out! Nick Puleo (@NickPuleo) - "Probably some PUBG and Divinity 2. But, I also just realized the Battlefront 2 beta is out too. Will be playing that!" Jason Love (@JLove55) - "Continuing my way to the pros in Golf Story, continuing to perform all manner of rites and rituals in Total War: WARHAMMER 2, and continuing to fill in specific blocks in Picross S."
Mike Katsufrakis (@Pheriannath) - "Guild Wars 2, Danganronpa 2, and Total War: Warhammer 2. Lots of 2s." Eric Murphy (@smurph_em) - "I just returned from a business trip and my PC is still out for the count, so I'm thinking some console gaming is in order this weekend. Yoshi's Woolly World and Destiny 2 are likely possibilities." Marc Allie (@DjinniMan) - "More Metroid Samus Returns and a Guild Ball tournament tomorrow for me." Locke Vincent (@LockeVincent) - "Destiny 2, Divinity 2, Pyre, and Cuphead. WE HAVING A GAME BUFFET. " Tally Callahan - "'ll be tackling the trifecta of Guild Wars 2, Divinity: Original Sin 2, and Total War: WH2 again this weekend." Enoch Starnes (@enochstarnes) - "I'll be checking out some Battle Chasers: Nightwar and possibly getting a little time on the virtual links as well with Everybody's Golf." Matthew Squaire (@mattaghetti) - "Divinity Original Sin when I can but work looks pretty time consuming." You know what to do. Send us your plans in the comments! Page created in 0.7429 seconds.